Enjoy One of Fort Worth's Greatest Traditions—the Rodeo! 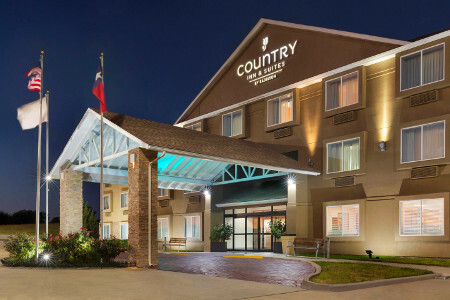 Welcome to the Country Inn & Suites® by Radisson, Fort Worth West l-30 NAS JRB, just two miles from the Naval Air Station Joint Reserve Base Fort Worth. 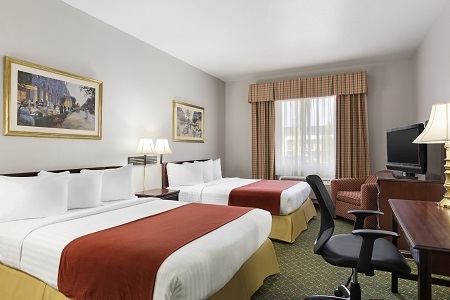 Located off I-30, our pet-friendly hotel is also close to the shops and restaurants in the Cultural District and the rodeos and cattle drives at the Fort Worth Stockyards. Visiting Texas Christian University? The TCU campus and Horned Frog sporting events are just 15 minutes away. Need extra space for your group? 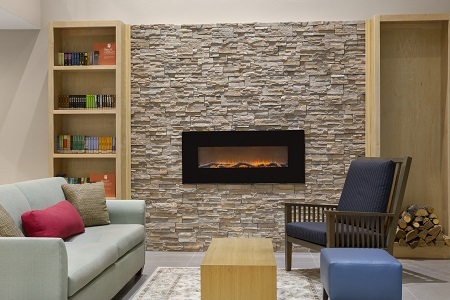 Reserve a One-bedroom Suite to enjoy a separate living room with a sleeper sofa. 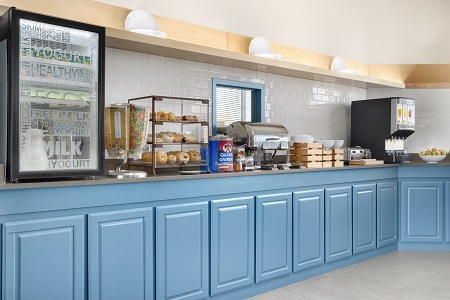 Before a packed day of sightseeing or attending sessions at the convention center, stop by the dining room for the hotel’s complimentary, hot breakfast. You can fill up on waffles with a side of eggs or opt for something lighter like a bagel and fresh fruit. For lunch or dinner, try the hand-breaded fried chicken at Grandy’s, just one of the many local restaurants near the hotel. Fort Worth Convention Center – Hosting everything from trade shows and conferences to sporting events and concerts, this expansive venue, just eight miles from the hotel, covers 14 city blocks. Fort Worth Stockyards – Located nine miles away, this historic district features a twice-daily cattle drive (weather permitting) of 15 Texas longhorns led by cowhands in authentic garb. You can also visit the on-site museum and the Texas Cowboy Hall of Fame. Fort Worth Zoo – For a great family outing, head six miles east to take a stroll through the Fort Worth Zoo, home to white tigers, cheetahs and more. You can also enjoy the seasonal splash park for a small fee with zoo admission. Our 750-square-foot meeting room is perfect for hosting a business meeting, family gathering or team huddle for up to 40 people. Take advantage of audiovisual equipment and free Wi-Fi to help you give a stellar presentation. Contact us for more information about wedding party room blocks and event packages for tour groups. 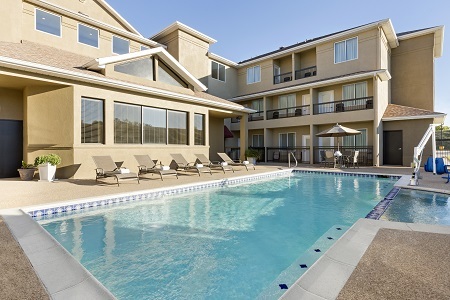 We can accommodate up to three of your pets for $25 per pet, per night.